Over at /Film, we’ve just launched a fundraising drive to raise $10,000 for FilmAid. The request? Donate as much as possible at FilmAid’s website, even if it’s just $1. The reward? A 10-hour long broadcast of the /Filmcast, featuring lots of fun guests from our show’s past. I will admit that I was a bit skeptical of FilmAid at first, as I know many will be. 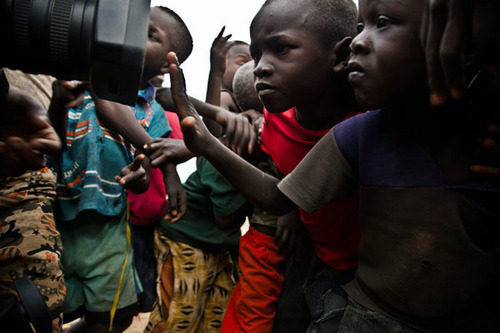 Why provide film and media training to a people that desperately also need basic necessities such as food and water? To be clear, those things are still important, and if you are a person who only donates to those types of causes, I still think that is great. But when you read about the work that FilmAid does, I hope you’ll realize that it’s also essential. I know that crowdfunding at the scale I dreamed it is probably not possible. But I still have a vision that thousands of people will each donate a little bit. Whether we meet our goal that way or not, I hope we succeed and show that a few film fans can still change the world. Won’t you join us and donate today?